In this article we're going to take some time to go through the meta options available on all portfolio items throughout X. Some of the options discussed below are available globally, while others are only available if a certain media type is in use. Without further ado, let's jump into the portfolio item meta boxes. 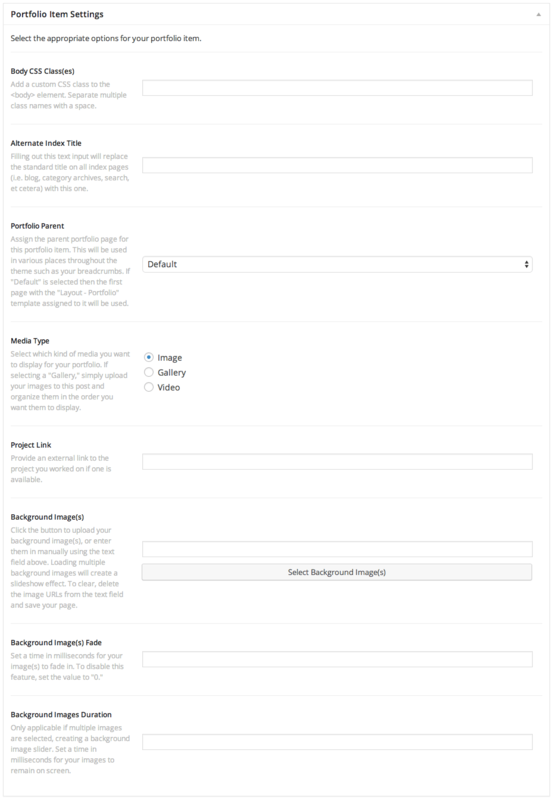 While the settings above can be applied to any portfolio item, some meta options are only available for specific media types. Media types aid in the content management process by grouping individual portfolio items together that are similar in nature. 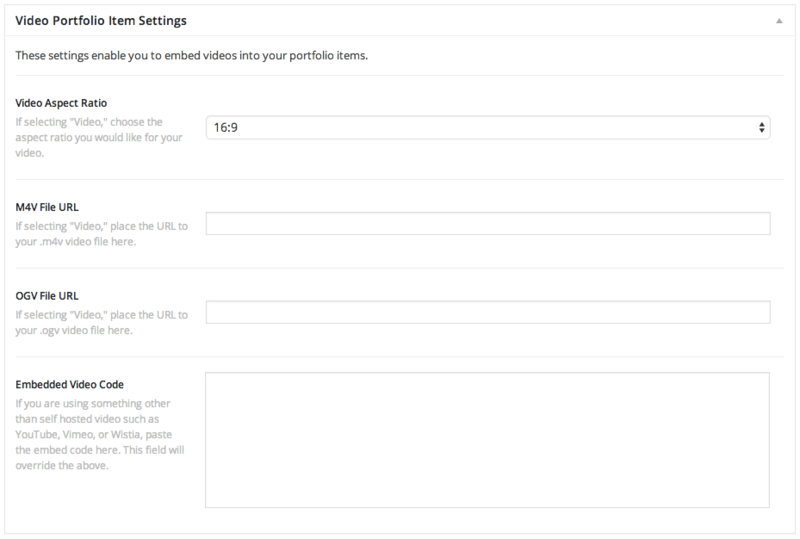 The Media Type meta option can be found in the Portfolio Item Settings meta box.